Exceptional times require exceptional policies. Post-Brexit, UK politics has taken a massive lurch to the right. Those in charge are now setting a course for a New Jerusalem devoid of constraints, as they see them, such as the Human Rights Act or workers’ safeguards. But it won’t be a promised land for any other than the rich and powerful. The grim present for countless others could become an ugly future for so many more. Hence collective action is needed and old tribal battles put behind us. 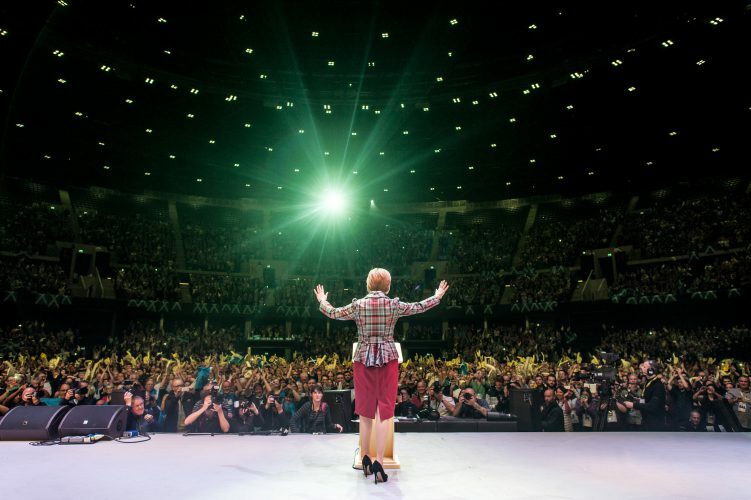 In the 1980s and 1990s, I and others in the Scottish National Party berated Labour, often with greater virulence than shown to the Tories under Margaret Thatcher or John Major. Now, with the SNP in charge at Holyrood, Labour berates the SNP with greater venom almost than David Cameron or Theresa May. The only real winners are the Tories, who plough on leaving folk suffering in their wake. That’s why the time has come for a progressive alliance. The next election may come soon or await the set date of 2020. However, it’s hard to see any winner other than the Tories unless exceptional action is taken. Labour on its own will struggle to form a majority with limited Scottish representation, and the SNP, having reached the high of 56 Westminster seats, will do well to maintain it, with the threat coming more from the right than the left. The likelihood of a second independence referendum before a Westminster poll is slim. The same limited prospects apply for the Greens and Lib Dems. The opposition parties of the centre and left can hang apart and lose individually, or work constructively and win collectively. A progressive alliance has been ruled out by many and rubbished by others. But why? This is not about the careers of individual politicians or the success of particular parties. It’s about the very fabric of our welfare stare. As Thatcher demolished the old unionised heavy industries, her successors will destroy the welfare state that has nurtured so many of us. Collective action needs to be taken now. It would be a commitment to allow an administration to be formed that would deliver radical change. It wouldn’t preclude Labour seeking to deliver in its own right if a majority were obtained, but would allow for the practical delivery of progressive policies if that wasn’t achieved. For the SNP, in the absence of independence, it could be the best way to protect and promote the interests of the people of Scotland. That, after all, along with nationhood, is the stated aim of the party. For the Greens and Lib Dems, it gives them greater relevance. In 2014, many who had never voted or had ceased to vote were mobilised by hope to do so for independence and in particular by the thought of an end to Tory rule forever. In 2016, many in England and Wales were driven by fear to vote for Brexit, taking their anger out on political elites and blaming migrants for their woes. To maintain the support of those who were mobilised in Scotland will require continued hope for radical change, not just blaming Westminster for the ills. South of the border it will require a radical message of hope, allied to the likelihood of its implementation, to switch those galvanised by fear. But that can be done and a progressive alliance is the way. This is about the collective good, not individual success. Our people deserve no less.